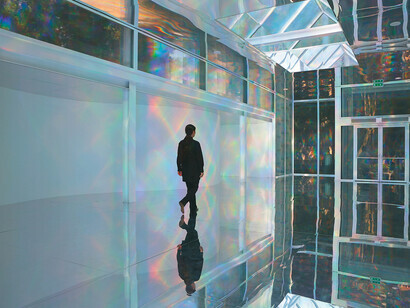 Kimsooja transforms Yorkshire Sculpture Park’s historic chapel with To Breathe, an enthralling installation using light and mirrors and the latest in a series of projects exploring meditative qualities of space. 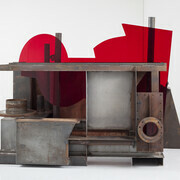 The exhibition forms part of the inaugural Yorkshire Sculpture International, produced in partnership with the Henry Moore Institute, The Hepworth Wakefield, and Leeds Art Gallery. 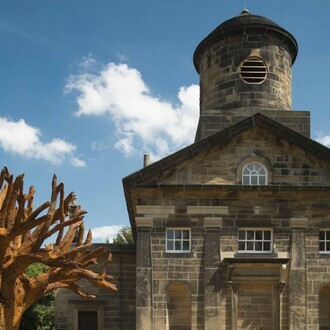 Yorkshire Sculpture International comprises a number of exhibitions exploring artist Phyllida Barlow’s statement that “sculpture is the most anthropological of the arts”. 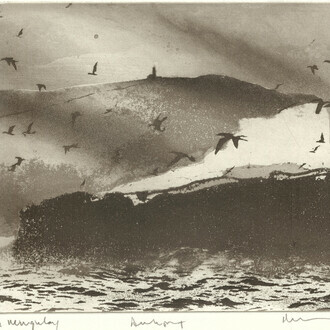 With Yorkshire’s rich history as the birthplace and inspiration for sculptors including Barbara Hepworth and Henry Moore, our collaboration considers the human impulse to connect with objects, investigating both the physical diversity and the political agency of sculpture in the 20th and 21st centuries. Kimsooja’s practice references and takes inspiration from traditional forms of female labour and craft, such as sewing and weaving, to investigate the role of women. Making quilts with her mother was the initial stimulus to adopting needlework as part of her practice, and since then (1983) the artist has travelled extensively, exploring the cultural importance of clothing, textiles and the associated acts of making. For over 25 years the artist has used the form and idea of ‘bottari’ – the South Korean word for a bundle wrapped in fabric, which Kimsooja identifies as “a self-contained world – but one which, like a vessel, can contain everything materially and conceptually”. Traditionally used for moving possessions from place to place, the bottari references the displacement of people. Kimsooja has extended the idea to incorporate larger spaces and even architecture, meaning that whole buildings could also be wrapped to alter, contain and re-shape what was within. To Breathe in the Chapel is such a treatment of architecture. 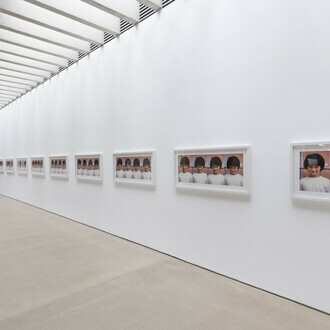 With a lightness of touch, Kimsooja transforms the entire space and blurs expected boundaries. 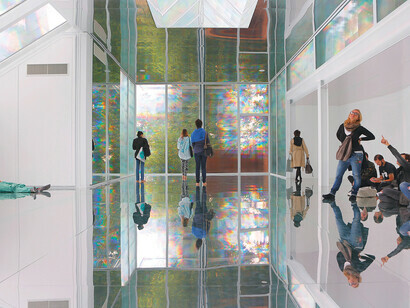 The floor, covered with a mirrored surface, provides an entirely new way of seeing, seeming to open up and unfold the space, making solid surfaces and confining structures appear fluid and expansive. 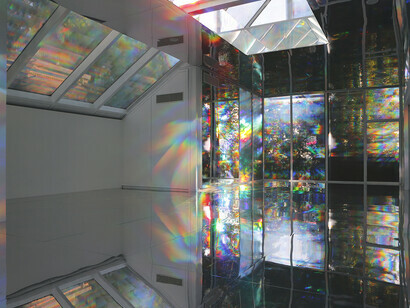 By placing diffraction film on all the windows, the light that enters forms a myriad of rainbow spectrums across the space, which are reflected infinitely via the mirrored floor. Responsive to the natural environment, the installation changes according to the light quality and intensity, making every experience different and unique. A soundtrack of the artist breathing accompanies the visually spectacular and meditative installation, creating an intimate and shared encounter. What the artist describes as the “‘void’ within the skin of architecture” becomes the body of the work, and a site of communal contemplation for all who encounter it. In addition to the physical act of sewing and its various cultural associations, Kimsooja also considers the concept metaphorically, seeing the body as a needle that weaves together the fabric of lives, cultures and cities, celebrating a shared humanity regardless of geographical borders. 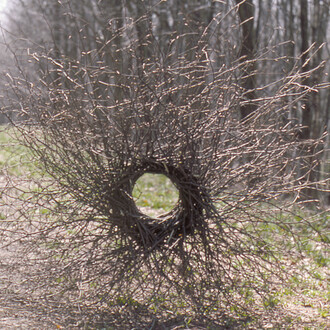 She is perhaps best known for her video work A Needle Woman, in which she stands still in a busy city centre, holds her space as people pass by around her, and creates a place of intense calm. Related to this, Kimsooja’s 14-metre-high sculpture A Needle Woman: Galaxy was a Memory, Earth is a Souvenir, recently shown at Frieze Sculpture curated by YSP Director of Programme, Clare Lilley, will also be sited in the open air. This elegant spire was developed with scientists at Cornell University, New York, who formulated a nanotechnology film applied to the acrylic windowpanes that most closely mimics the iridescence of butterfly wings. 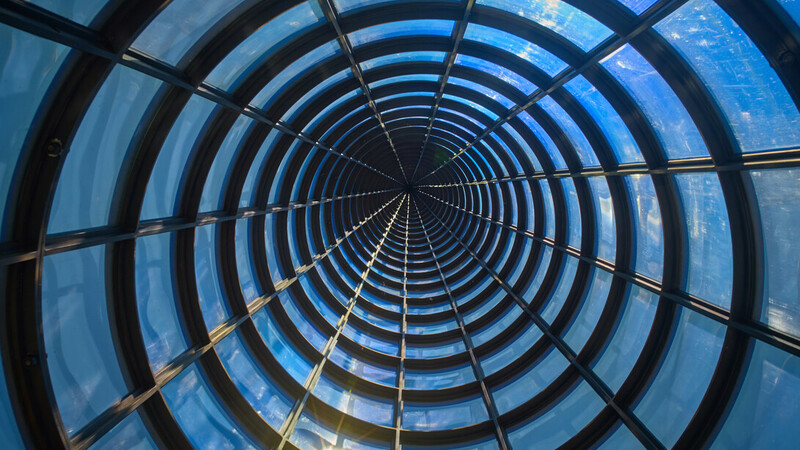 With a mirrored floor, the environment within the spire is remarkable and its space appears to extend deep into the earth and to reach into the cosmos. It is a profoundly stilling, meditative experience, whilst from without, the spire is an extraordinarily graceful and uplifting sculpture. This is only the third time that A Needle Woman: Galaxy was a Memory, Earth is a Souvenir has been shown in public.